In my admissions consulting business, I have long counseled clients to focus on developing content independently of its presentation layer. Lo & behold, thanks to The Atlantic’s sister publication, QZ, here’s the proof. 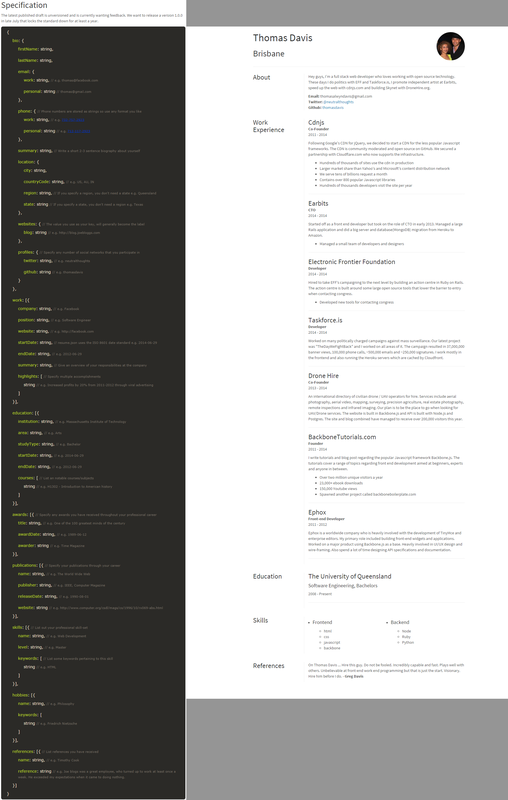 a JSON Resume Specification with all the regular standards rigamarole.